Most in the Brunei Pools offer you both open lanes for independent swimming and also guided activities like water aerobics or Aquabike. Please use the contact details provided at every single pool profile to check if they're offering aquagym lessons, because just isn't so common to see an Aquagym in Brunei. Please have a look at the pools swimmers like you have reported near Brunei. Please, report any Brunei Swimming Pool not listed here. We possibly don't know all the Pools in Brunei. Are you missing any? Contact us!. Before trying any pool, ensure you know the rules and regulations for Brunei Pools as they may not be the same as in your home town. We recommend you contact the pool directly to ask for those who will need to have a hat, and what sort of footwear or specific clothing you will need. 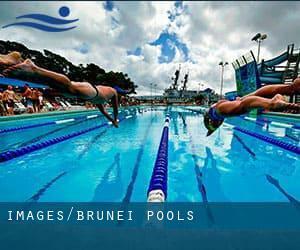 The best choice throughout your visit to Brunei will be droping by a Brunei Swimming Pool. Enjoy the best indoor pools in Brunei and don't worry about the weather. These facilities are open all seasons and you can enjoy a swim at the same temperature every day of the year. There are several reasons why you'll want to choose a heated swimming pool in Brunei. One of the most necessary 1 relies on the importance of keeping the body temperature stable. If the water is as well cold, your body will try to warm it up and you will shed strength to swim properly. One of the advantages of outdoor swimming in Brunei would be the possibility to sunbathe throughout the summer season. Taking it with extra care, sunbathing is healthy since introduces Vitamin D into the body, so the best alternative seems to be switching between indoor and outdoor pools depending on the season. Holding an estimated population of 19.151, Tutong is among the most important cities in Brunei. Check all of the Pool in Tutong and its surrounding area. It's hard to visit Brunei with out dropping by Kuala Belait (with 31.178 residents). At present Swimia is showing you all of the Swimming Pool in Kuala Belait and the closest pools located in its vicinity. Swimming is usually a exceptional thought to keep your body active for the duration of your visit to Seria (Brunei), or even in case you are a local. Swimia helps you to find your closest Swimming Pool in Seria. Let us tell you a secret to switch off even though you are in Bandar Seri Begawan: just pick out a Swimming Pool in Bandar Seri Begawan and plunge into the water! There's no more successful strategy. Without a shadow of a doubt, swimming in Bangar is the most effective strategy to unwind after function. Take a couple of minutes to browse Swimia's catalog to find a Swimming Pool in Bangar. Muara-Tutong Highway , Kampong Jerudong DARUSSALAM (Postal Code: BG 3122). Among all the activities offered by the centre, for anybody who is interested in swimming you may take pleasure in 17 meters, 4 lanes, Indoors. If you need to contact this Swimming Pool, email address and phone number are both number. Jalan Berakas , Bandar Seri Begawan DARUSSALAM (Postal Code: BB4313). Among all the activities offered by the centre, if you are thinking about swimming you'll enjoy Olympic size x 25 meters, Outdoors. Just in case you desire to contact this Swimming Pool just before dropping by, we only know the phone number.